Seed potato schemes do not have a standardised system for naming their field grown generations which makes it difficult to compare schemes. Potato seed schemes from Western Australia, the Netherlands, Scotland and Canada are compared to allow equivalent field generations to be identified. This will allow potential buyers to identify like-for-like from other seed schemes. The disease and disorder tolerances for field and tuber inspections for each scheme are also provided. The number of field generations used to produce the final product of the seed schemes from the Netherlands, Canada, Scotland and Western Australia varies and are shown in Table 1. The final fifth generation of Western Australian certified seed is produced at least two years earlier than the end product of seed schemes from Canada and the Netherlands and three years earlier than the Scottish scheme. The Netherlands seed scheme end product is Class C certified seed, which is produced at generation seven (G7), two field generations later than Western Australia’s end product of G5 certified seed. Western Australian G5 certified seed is equivalent to the Netherlands Class E seed. 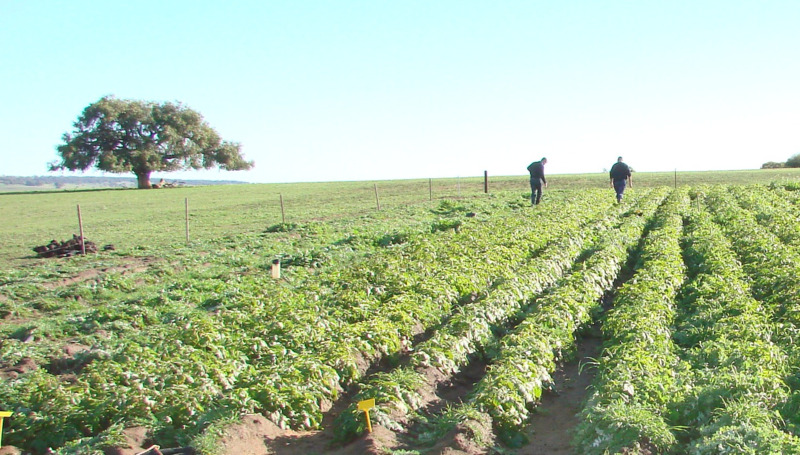 The Netherlands has an alternative pathway for production of seed potatoes where Class SE seed is produced prior to Class E. This means that potato seed from the Netherlands may be three field generations later than Western Australian G5 certified seed. The Canadian scheme’s end product is generation 7 certified seed; two field generations older than Western Australia’s seed scheme final product. Western Australian G5 certified seed is equivalent to the Elite 4 seed in the Canadian seed scheme. The Scottish scheme produces Basic E seed at generation 7 which is used to produce generation 8 ‘Certified Seed’ outside Scotland. That is, three generations after Western Australian G5 certified seed. Western Australian G5 certified seed is equivalent to Basic S seed in the Scottish seed scheme. * Fast-track multiplication. An alternative multiplication can be used which takes an additional year.